TacMat takes a scientific approach to conquer two enemies that destroy your driving pleasure: noise and heat. 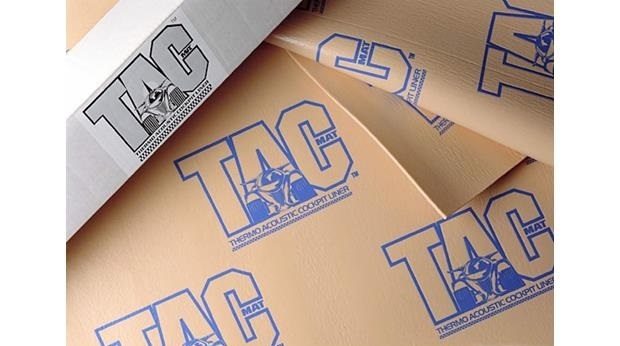 The same technology used in aerospace materials gives TacMat a higher insulating value than fiberglass and sound-reducing capability greater than other materials ten times its weight. A thermo-acoustic cockpit liner, TacMat is approved by DOT FMVSS 302 and passes Federal Aviation Regulations. TacMat uses a unique conversion process that limits the volume and duration of any structure-borne noise within your vehicle's interior.